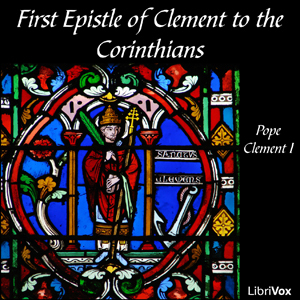 "First Clement is one of the oldest Christian documents outside the New Testament canon. The epistle was written by Clement, one of the elders of the church of Rome, to the church in Corinth, where it was read for centuries. Indeed, historians generally hold First Clement to be an authentic document dating from the first century. From the fifth century to the eighth century, many of the eastern churches accepted the First Epistle of Clement as canonical scripture as it is clearly listed among the canonical books of the New Testament in "Canon 85" of the Canons of the Apostles. However, by the end of the eighth century, none of the ancient churches, eastern or western, included First Clement in any official listing of the canonical New Testament"